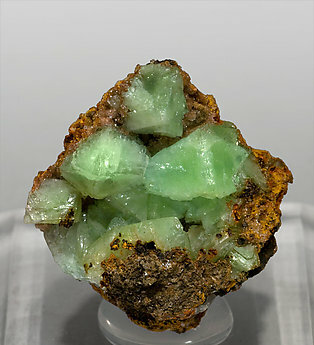 Botryoidal growths of Adamite crystals on a limonite matrix. 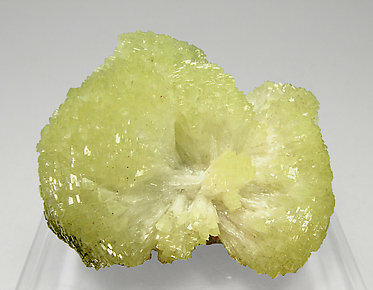 They are very bright and have a lemon yellow color with greenish shades. The sample is from an ancient European collection whose label we will send to the buyer. 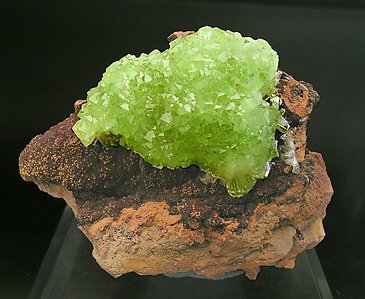 A pleasant group of crystals of excellent color and luster and completely undamaged, on the Limonite matrix typical of Mapimí specimens. 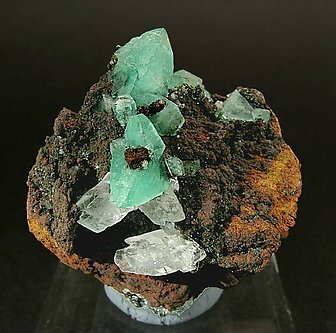 The color and the esthetics of the specimen are very good. 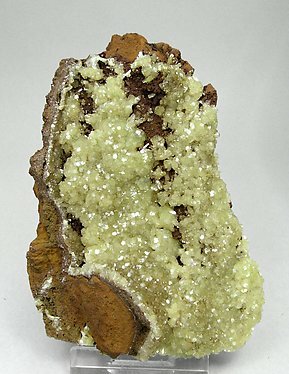 Crystals, small and very bright, form spheroidal growths on a matrix of Limonite. 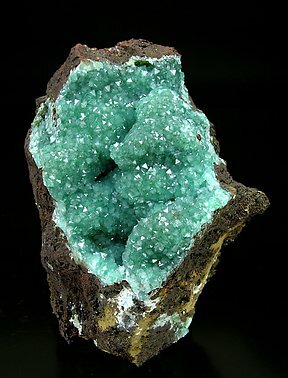 The crystal growth of this specimen inside a tight cavity makes it different from other Adamites. 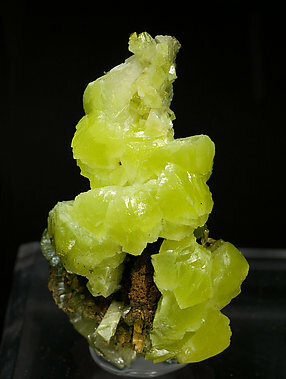 Formed by two fan-shaped groups of Adamite crystals, nearly perpendicular, this specimen shows marked triangular terminal faces. 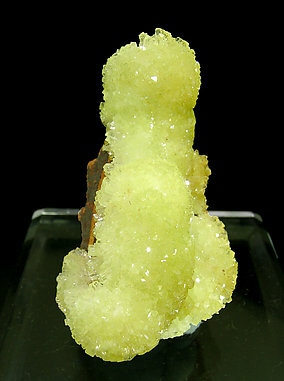 "Bow tie" growth of elongated crystals with clear color zoning, white at the center and a beautiful yellow elsewhere. 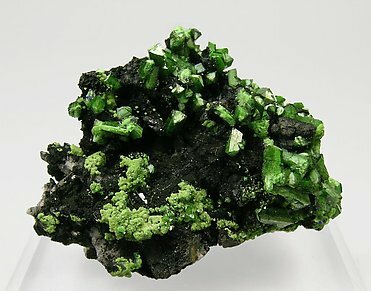 The sample has an extraordinary fluorescence, very much stronger than usual. 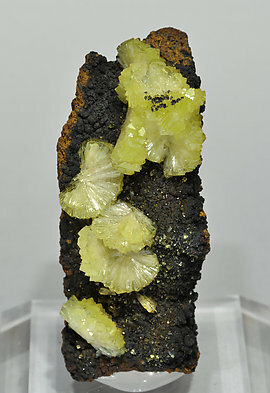 Fan-like aggregates, more isolated than usual, of prismatic crystals with excellent terminations, a very vivid yellow color and an excellent luster that contrasts with the dark limonite matrix. 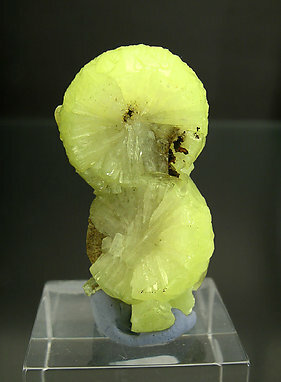 A nice miniature consisting of two radial groups almost perfectly circular, with crystals of lemon yellow color, more intense on terminations. 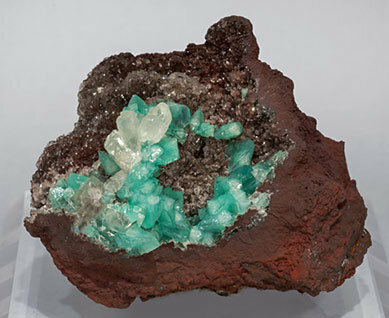 This sample was in the collection of John S. White, and we’ll send his label to the buyer. 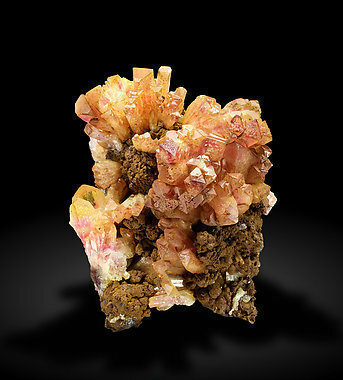 Globular growths and well individualized crystals that have yellow color and an intense luster that contrasts with the dark Limonite matrix. 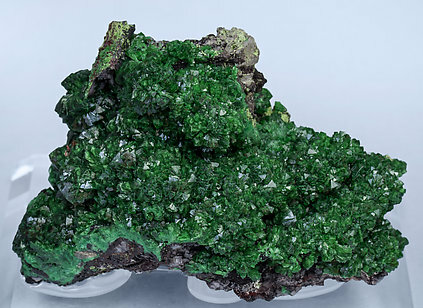 A complete globular growth, free of damage and on matrix. 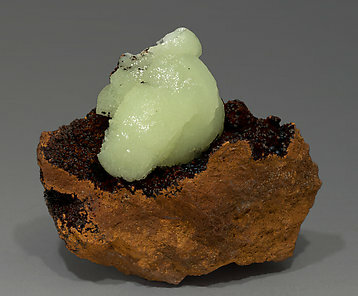 On this growth a second generation of Adamite crystals has formed. 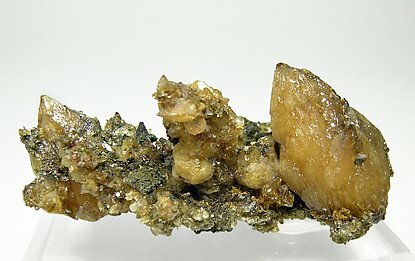 They are thin prismatic, perfectly defined, individuals (some of them are doubly terminated) forming fanlike groups. Very esthetic. 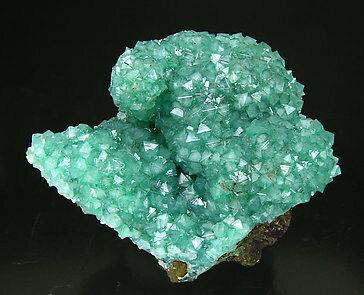 Group of well separated crystals of good size for the species and with an excellent color, which is very intense. 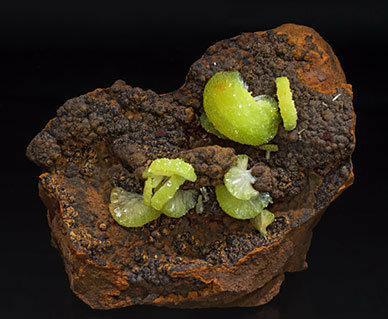 They are on a Limonite matrix and the quality is very high. It comes from a private collection of the eighties. 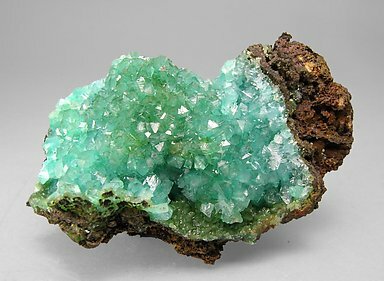 Fan-like aggregates more isolated than usual, with prismatic crystals that have excellent terminations. 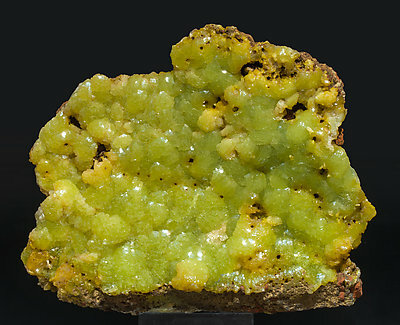 They have a vivid greenish-yellow color and an excellent luster that contrasts sharply with the limonite matrix. 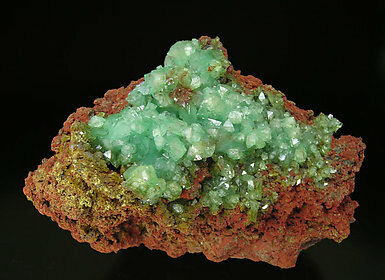 The sample, of high quality, is from an old find at the Ojuela mine. Exceptional for the locality. 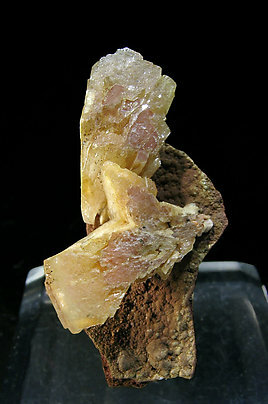 A group of yellow crystals, some of them doubly terminated. 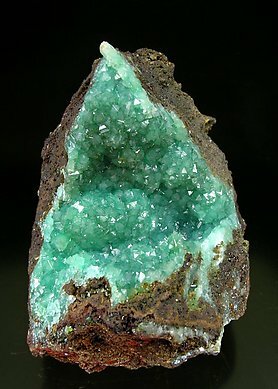 The main crystal, of a big size, has very well defined faces and edges. We’ll send a copy of the analysis. 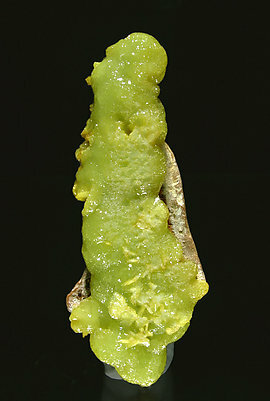 Curved and interpenetrating aggregates with poorly defined crystals, and with a yellow color with greenish tones due to the presence of copper. 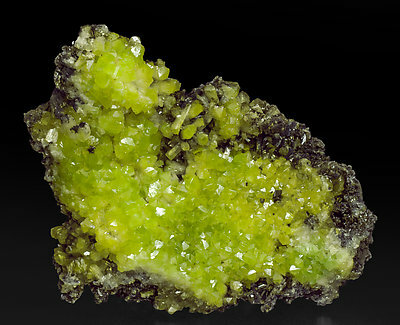 Very aerial and on limonite matrix. An excellent Mexican classic.